The copy of this post has been sent to a professional magazine (naturally, the magazine version of this piece was written in a formal style and had no pictures or personal assessments). The response was short but positive - in a way. We enjoyed your letter, but the board declines to publish it because they thought it would be too controversial. Makes me feel satisfied. I take "controversial" as a compliment. It combines "original", "unexpected", and "interesting". At first you will hear a description of many functions and abilities of intelligent beings (us). If you keep insisting: “No, I don’t need a description of it, I want a definition”; the best answer you get is … (“I’ll keep you in suspense”, but if you want to know the answer immediately, just scroll down the page). Definitions represent the skeleton of a science (any science). If a research field does not have clear and operating definitions for all the fundamental terms it uses, it is not yet a true science, at the best, it is a science in making. Giving a good definition is very important, and not always easy. Take, for example, a famous tale about Plato and Diogenes, which says that “when Plato gave the tongue-in-cheek definition of man as "featherless bipeds," Diogenes plucked a chicken and brought it into Plato's Academy, saying, "Behold! I've brought you a man"” (https://en.wikipedia.org/wiki/Diogenes). Nowadays, stories about new AI achievements are everywhere. But what is AI? What is a definition of it? The article “Artificial Intelligence” in Encyclopedia Britannica is composed of about 8000 words. It can be divided in three major parts. The first part (the shortest one) simply says that artificial intelligence is like human intelligence but artificially manufactured. The second part is a shorter version of the article about human Intelligence. The third part describes various technical approaches to constricting AI. The clearest and actual "definition" of AI is provided in the first part, i.e. AI is artificially manufactured system which can do what HI (human intelligence) can. However, this is more of the description of the scientific field than the definition of specific property of a system. 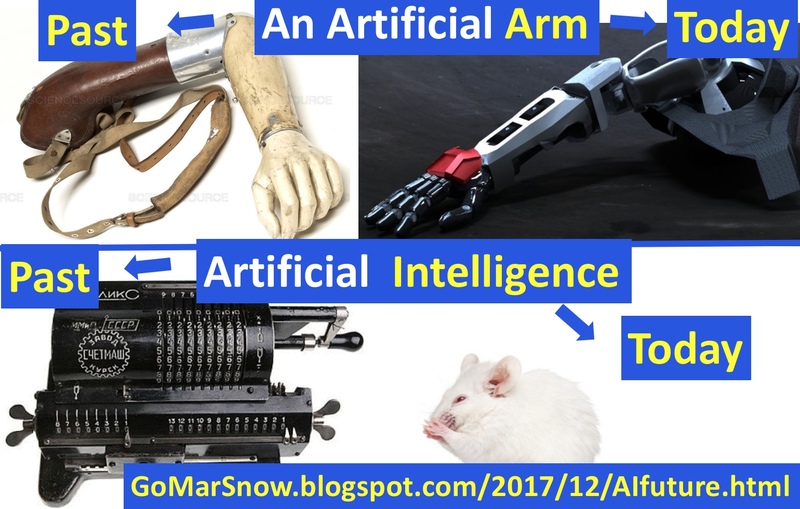 I think the best approach is to define any artificial object in terms of its natural/biological counterpart ("an artificial arm" for example, is "an artificially made arm"), because it fits the Occam's razor criterion. So, AI is an artificially made system which possesses such property called "intelligence". That leads us to search for a definition of intelligence, in general (1. HI, or human intelligence, represents one possible - biological - realization of intelligence; 2. "artificially made" also may have stretched interpretations, e.g. when doctors take a sperm and place it in an egg, will the baby made "artificially", where is the line between "naturally" and "artificially"?). The article “Human Intelligence” in Encyclopedia Britannica is composed of about 9000 words. It describes various approach to understanding what intelligence is, its aspects, elements, properties, manifestations. But this article does not give a clear definition of intelligence. “Human intelligence, mental quality that consists of the abilities to learn from experience, adapt to new situations, understand and handle abstract concepts, and use knowledge to manipulate one’s environment. The article provides a short description for many various attempts, but does not offer one description of what intelligence is, which would dominate the field. 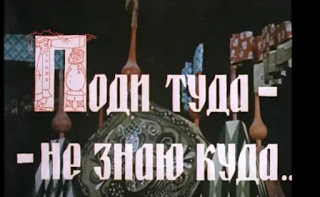 Without having a formal definition of AI, searching for AI would be like “go there don’t know where, and find that don’t know what” (this is what Tsar said to Andrei the Solder, according to a famous Russian tale). So, every researcher in the field of AI development has some definition of AI (because, clearly, they know "that, what they want to find"). But without having one commonly accepted definition of intelligence (or anything else, for that matter) every researcher who is trying to construct AI (or anything else, for that matter) can base the attempts on the description which fits the best his or her own views. Of course, the majority of actors in the field base their actions on something they all have in common (that common part defines the field). And that common part which defines the field of AI is patterns. Everyone in the field accepts, as the basis for all R&D activities, the fact that intelligence does not exist without pattern recognition. But as the result, most researches in the field of AI shrank "intelligence" to "pattern recognition", i.e. they simple made intelligence and pattern recognition equal: "intelligence is pattern recognition". BTW: it happens every time when the process of the development of a definition of an object is based on listing the set of attributes the object has or doesn't have ("men are featherless bipeds"). Of course, deep inside they all know that this approach is wrong (or at least insufficient), but without having a definition of intelligence, that is the best they can do. And we all know that intelligence (at least HI) is more than just an ability to recognize or produce patterns, because animals also can recognize patters. Even more, animal world provides many examples of complicated pattern development (e.g. bees, termites, beavers, spiders). As an expert and a professional in HI, I have been searching for a simple, clear, workable, operational definition of intelligence (BTW: another question about definitions - what is the difference between an “expert” and a “professional”?). In 2017 this search has finally come to an end. Intelligence is the property of a system; the mission, the reason for its existence, and the core ability of intelligence is creating solutions to problems which have never been solved before (by that system). All other aspects of intelligence (heavily discussed in literature, and artfully presented in Encyclopedia Britannica) play their roles, and take their places as devices, components, abilities, organs, functions required for intelligence to exist, perform, and achieve its goals, fulfill its mission - creating, again and again, a solution to a problem which has never been solved before. One can hear or read again and again that "intelligence is an ability to solve problems". But this statement is not operational, at least it is not differentiative enough to be a definition. Digging trenches solves problems. Or anyone can name numerous of other activities which solve problems but do not require intelligence (of the highest level, which is assumed when people say "intelligence"). Or a person (or even an animal) can be drilled how to solve a specific problem when that problem will arise - also no intelligence is involved. My definition is operational and differentiative; it allows to separate intelligent activities (of the highest level) from activities acquired via drilling practices (including infamous "rote memorization"). BTW: I have a clear vision of how AI can be used to study and improve learning and teaching practices on a large scale (and how education practices can advance AI development). In particular, I have developed a specific strategy for using advances in AI to developing a new type of content knowledge measuring instruments in physics, mathematics, and chemistry. Based on my experience of teaching problem-solving and knowledge of how mind learns, I also envision a specific strategy which will lead to the development of AI capable of solving physics problems, potentially even win a physics competition, and then be capable of becoming an artificial physics teacher (no the best one, but better than many current ones). When one creates a solution to a physics problem one has not solved in the past, his/her reasoning process follows the steps a scientists uses when uncovering laws of nature. DARPA wants to support research leading to development of AI Research Assistant. Creating AI which can solve physics problems and then teach how to solve physics problems is the natural first step in that direction. Someone might ask, how come that professionals in the field could not come up with an operational definition of intelligence, but a physics teacher could? Firstly, I am not just any physics teacher. I am a very good physics teacher who for a long period of time has been successfully using his own natural human intelligence. For example, this is an excerpt from one of many student evaluations: “I hated physics before taking this course, and now after taking both 105 and 106 with Mr. V, I actually really enjoy it. He is one of the best teachers I've ever had. Thank you” (ten more pages on this link :) ). Why am I good a teaching physics? This is what teachers can do! From the NASA's "Brief History of Rockets"
And thirdly, for business-minded people, remember that if it wasn't for Steve Wozniak, the world would most probably never knew Steve Jobs. I would also like to use this opportunity to say a couple of words about the definition of "Machine Learning". There are many definitions of "Machine Learning". None of those "definitions" are definitions. They merely describe the scientific field of machine learning but do not define machine learning. Mostly because they do not define "learning". If they did, the rest would be obvious. This is the definition of Machine Learning: "machine learning it is what people do when they learn, but this time it is done by an artificially made object, i.e. by a machine". After a short general introduction most of the authors offer some version of a brief description of specific methods used to process different patterns (could be found in any textbook on AI or ML). The true goal is to define "learning". "Learning" also has many definitions. The most common one (which comes in various forms) is "learning is the process of the acquisition of knowledge", or "the knowledge obtained during the processes of learning". Both definitions are correct, in their way, because they do describe learning. But that type of learning is not the type AI professionals have in mind when they say "machine learning". Those two definitions do not allow to establish if learning has actually occurred beyond mere memorization (a.k.a. "acquisition of knowledge"). Machine learning as a memorization is clearly of no interest, because these days we all know very well that machines can accumulate, store and retrieve huge amount of information. Of course, the algorithms, techniques for acquiring and processing that information represent important technical part of machine learning.But that part has little to do with the actual process called "learning". Even blind and deaf people can learn to the highest level (up to getting PhD). As an expert in human intelligence, I define "learning" (more accurately, "productive learning") as a processes leading to a production of knowledge; as the first approximation (the scientific thinking in action), learning is a process of utilization of currently active knowledge in order to produce new knowledge (for example, the statement "I learned how to do it" represents some of the new knowledge developed during learning). The criterion of "learning" ("actual learning", "real learning", "true learning", "productive learning") is the ability to use existing knowledge to generate knowledge previously not available to the actor of learning. Machine learning is happening when a machine (an artificially manufactured object) produces new knowledge based on the knowledge currently available to the machine. BTW: what is "knowledge"? Without an operational definition of "knowledge" how do we know if the new knowledge has been produced? If a machine takes a text and randomly permute and recombine letters, words, sentences will it be "new knowledge"? More importantly, what types of knowledge exist? how does knowledge evolve? what is the structure of knowledge? how is the structure of knowledge reflected in the structure of neural network processing that knowledge? People in AI don't seem interested in those questions. At least there is no single page from 1100 pages of "Artificial Intelligence: A modern Approach" (by Stuart J. Russell, Peter Norvig; 3d edition) where those questions about knowledge would be discussed. They talk about "knowledge" as if it is something obvious, or define "knowledge" as "information", which is a severe simplification, in part because it ignores an important feature of "knowledge" - it has a vector; it is purposeful (in general). They define learning as making a match between a hypothetical knowledge and the factual knowledge (meaning "information"). This does formally describe a procedure leading to "new knowledge": (1) state a hypothesis; (2) gather facts; (3) compare; (4) decide. For example: (1) this is a banana? (2) run image recognition; (3) correlation 0.98; (4) ye, that is a banana! (if needed, e.g. to decrease % of mistakes, learning can be "reinforced", and "deepened"). But (A) for people true learning usually begins after learning how to recognize various shapes; (B) this learning ignores "learning as a skill development"; (C) and also it ignores the central feature of learning - its intentionality (humans have a desire to learn, including about themselves, built into the genetic code; good teaching is based on that; bad teaching ignores or even tries to break this desire). (1) acquisition of knowledge is useless if it does not lead to the development of new practice (starting from the development of new individual skills). (2) the development of new practice (starting from the development of new individual skills) always lead beyond acquisition of knowledge to development of new knowledge. That means that AI developers also need to define "skills", "new skills", "machine skills", "skill development", etc., in a way assessable for a machine and by a machine. Machine learning is happening when a machine (an artificially manufactured object) develops new skill based on the skills currently available to the machine. When the host of intelligence (e.g. a human person) creates a solution to a problem the host has never solved before (or has no memory of that) but that problem has been solved in the past by other host(s), the intelligence plays only local role – for that host only. But when the host of intelligence (e.g. a human person) creates a solution to a problem NO host has ever solved before, the result has a global value – for the whole assembly of hosts (e.g. human society). BTW: (a) this definition of AI should be sufficient to design the Turing test (which will be possible only under assumption that the machine will not be able to lie). (b) teaching creativity (a.k.a. critical thinking, creative thinking, lateral thinking, inventiveness) is “simply” teaching students (including artificially made) how to create solutions to problems they have never solved before, i.e. teaching students how to be intelligent (what I have been successfully doing for many years). Naturally, my definition of AI is based on a subset of definitions, for example, on a specific view on what a problem is, what does it mean “to solve a problem”, and much more (that is why I have been intensely publishing on this blog). 1. When someone needs to achieve a goal, and knows what actions to perform in order to achieve it, it is not a problem it is a task. 2. When someone needs to achieve a goal, and does NOT know what actions to perform in order to achieve it, that IS a problem. The definitions above represent the simplest description of “a task” and “a problem”, but already can be used as the means for differentiating intelligent actions from routine actions. There is one more question, the answer to which affects the whole discussion: “What is a scientific definition of “a scientific definition”?”. I like to ask my students a short version of it: “What is a definition of “a definition”?”, and it always makes them think hard, and generates a discussion. Everyone is welcome to join this discussion (BTW: this discussion is essential, crucial for the final choice of the actual definition). So, what is the meaning of AI – as a symbol (abbreviation)? Well, first and foremost it is the ultimate goal of the R&D in the field of AI development. But currently, it is a brilliant marketing instrument, helping to promote the R&D in the field. The actual abbreviation should be APRS for an Artificial Pattern Recognition System, but AI of course is much cooler! At first you will hear a description of many functions and abilities of intelligent beings (us, people). Basically, AI is described as an artificial human, which is not an actual definition. If you keep insisting: “No, I don’t need a description of it, I want a definition”; the best answer you get is: “AI is an artificially manufactured pattern recognition system which can expand/advance/increase/broaden the scope of its own functions without human interference”. This definition accurately describes certain important aspects human intelligence. However, this definition also accurately describes animal behavior. Everyone who is fine with being on the same level with animals can keep using that definition. Otherwise, I suggest switching to mine. 1. General Intelligence (GI) is a pattern recognition system which can expand/advance/increase/broaden the scope of its own functions without interference from other intelligent systems (incorporates all animals, including humans). It is not clear, though, if the absence of the interference from other intelligent systems places limits on the level of the development of GI. For example, humans are not capable of development of advanced intelligence without communicating (the form of "interference") with other humans (leave baby Einstein in jungles with monkeys and he will grow up a - very smart! - monkey). 2. Human Intelligence (HI, or for a broader use – Intelligent Intelligence, or Logical Intelligence, or Ultimate Intelligence) is the property/feature of a system with the mission, the reason for its existence, and the core ability of creating solutions to problems which have never been solved before (by that system). The exact relationship between GI and HO is not clear for meat this time. The current meaning of AI becomes the equivalent of AGI (artificial GI), or AHI, which includes HI and another “A”I (animal I). There may be a case for a term UAI, The Ultimate AI, which does not yet exist (but heavily described as “almost here”), and includes HI, AHI, GI and AGI. i.e. keep the word "Intelligence" for "an ability to solve problems which have never been solved before (by the host). ", but name the animal behavior differently, e.g. "Animal Intelligence", or "Pre-Intelligence", or "Quasi-Intelligence", "Pseudo-Intelligence", "Intelligent Orientation", ... . Of course, there is some overlapping between the "Intelligence" and "Animal Intelligence", some gray area when intelligent species look acting like animals, and animals look acting like intelligent species - that is inevitable - but it does not make the definition less useful. The distinct, unique, crucial, necessary and sufficient attribute, feature, property, expression of intelligence (HI) is (wait for it) – a DOUBT. Creating a solution to a problem which have never been solved before inevitably leads to some uncertainties, to the situations when there is no (not exists) purely logical reasoning leading to the answer, to the goal, to the expected result (creating a solution always includes moments of insight). In this situation an intelligent subject always KNOWS (but first - feels) that this is the time when the only possible action is to “go with the gut”, “to flip a coin”. The result of this guess (insight, hypothesis) – “do this” – is based on fluctuations in the neural network of networks called a brain. This is what no current so called “AI” can do. Current “AI” has no doubts. It makes the decision (“this is this face”, “this is this word”, “this is this …”) based on the training it had. The better its training was, the less mistakes it makes (e.g. looking at a banana and seeing a face). But the current “AI” never doubts its choices. Currently an HI (human intelligence) needs to interfere to check AI's decisions (if only HI was always smarter than “AI”: http://www.cognisity.how/2018/02/Facebook.html). Until an artificial brain learns how to process fluctuations in its network, artificial intelligence will not be an actual intelligence but merely an efficient pattern recognition device. And even in the such developed field as visual patterns recognition current "AI" makes silly mistakes. Let's say "AI" is trained to recognize a banana. It cannot see the difference between an actual banana and the picture of a banana. Because that would require to understand perspective vision (and more). A coder can try to write a mathematical model for that. But in order to learn the difference between a picture of an object and the object AI needs to do what children do when they learn the world; it needs to see, walk, and touch things, and to learn the correlations between actions and timing of the feelings. This is way ahead of today. When current AI recognizes a pattern (visual, audio, numerical) it only makes a statement in the form "yes - that is that thing", "no - that is not that thing". But the processes in the network which lead to the final statement also have their own patterns. In a brain, there is at least one another network of a higher level which analyzes and recognizes the patterns happening in the lower network making a decision about the pattern/object. That higher level network generates another signal - a doubt - "are your sure"? And then there is another network which makes another decision "yes, I am sure" or "no, I am not sure". And then ... - long story, but you see the pattern. No AI is even close to mirror this type of pattern/pattern/pattern recognition (that requires developing the hierarchy of networks analyzing the hierarchy of patterns). That is why I also added another post on the matter: "Relax, the real AI is not coming any soon" (that post also has some insights on what "common sense" is). P.S. The field of AI training will become much more important than it is today. Although, not many AI professionals see it so far. Recently I was informed about a 2007 paper, containing the survey of various definitions of Intelligence (https://arxiv.org/abs/0712.3329). The list is very impressive. I found two which could be seen as a definition, but both are relatively similar to mine. "Intelligence ... is an ability ... to solve new problems" // W.V. Bingham. Aptitudes and aptitude testing. Harper & Brothers, New York, 1937. I would say my definitions includes this one, but make a more specific statement, which makes it more operational. Another one was "Intelligence ... is an ability ... to achieve goals" (belongs to the two authors of the paper). I would argue, that essentially that translates into my definition, with the goal "to achieve the solution constructed to a problem which have never been solved before”, which makes my definition clearer and more operational. I sent an email, in which I describe my view. In an email back I was pointed at the importance of "being able to solve problems in various environments (solving wide range of problems, achieving wide range of goals)". 1. from my point of view that is implied and obvious. 2. a definition of something, including Intelligence, should be concise, sufficient on its own, without the need for additional explanation of a possible interpretation. 3. the host of intelligence does NOT have to use it wide, the definition should allow to observe (measure, assess) one individual and make a conclusion if the host has or doesn’t have Intelligence (e.g. Turing tests). 4. Intelligence should not depend on a specific field of action; the property/ability/feature called “Intelligence” should be “field-independent”, which makes it “field-universal”, meaning, if it works in one field, it will work any any/every field. The ability to create solutions to problems which have never been solved before is exactly of that type. "Achieving a goal" (in any practical or theoretical field) when you KNOW how to achieve it is very much different from a situation when you DON'T know how to achieve it and have to develop/design the solution (procedure, protocol, device); that ability is the central core of HI, or “I” in general (please, refer again to my differentiation between "a problem" and "a task"). Speaking about the definition of AI, my view is that, no matter what definition of Intelligence is used, Machine “I”, or AI, it always means the same - Intelligence developed artificially. There is no need for a special definition (like artificial arm is an artificially made arm). It may make sense for internal use between AI developers, but for general public, practitioners, educators “A” just literally means "Artificial". Although, that would require a discussion about the meaning of word "definition", including what is its purpose (and history, e.g. what Aristotle meant by a “definition”, etc.). In conclusion I made a point that if a commonly accepted definition of Intelligence existed, it would be presented in the corresponded article in Encyclopedia Britannica. Since that is not a case, the question is still open, and the discussion remains vital. NB: This response of mine effectively concluded our communication; since then I have not heard back a word. As an expert in Human Intelligence, which includes human psychology, I know the reason for having our communication severed. I shook the ego of the authors of the paper. They had a nice construct of what they called "Intelligence", but some guy from the streets, someone with no name, no recognition, poked and made a big hole in that construct. So, they did what most people do in this situation, they pretended that nothing happened. Of course, those people are not idiots. In their minds they continue to mull over our conversation, their argument, my counterarguments. Eventually they will come up with their new definition of Intelligence, one which will have something from their old definition but will also have crucial elements of mine, and they will think that they came up with this new definition completely on their own (or another idea from any of my posts). Which is fine. All this AI stuff for me is just a hobby on a side (at least for now). Once in a while I just like poking a sleeping bear and see what happened. So far 100 % of my expectations turned out to be correct. I'm not so so keen on definitions. You know the old challenge, can you define a game? * one of the goals of a scientific methodology is to separate the categories in the field as definable and non-definable. 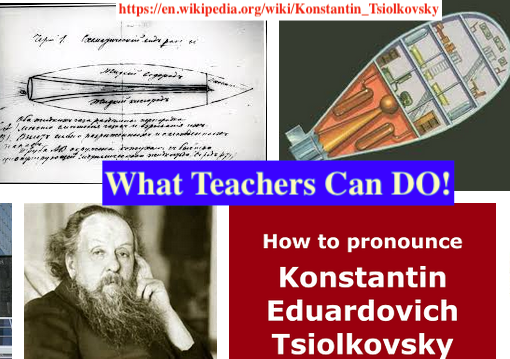 Since within any linguistic system, including science, not all terms are definable, classifying terms as definable or undefinable is the part of the job of the scientists in the field. What to do with undefinable terms (and maybe "game" is one of such) is also the part of the discussion. But the existence of undefinable terms logically does not lead to the non-existence of definitions (and I believe my definition of intelligence is a definition). At a certain point it all goes down to personal beliefs (I have more on this matter here: http://www.cognisity.how/2017/12/religion.html). 5. after the game the participants can return essentially to the pre-game state, i.e. the game does not have a drastic effect on the participants’ life (clearly, word “drastic” give a wide leeway for interpretation, but this statement works at least as the first iteration). From my view, this is not yet the final definition, because these conditions are necessary, but not sufficiently sufficient; but it grasps the essence of what a game is. I would be happy to have coffee with you some time, if you have such an opportunity. P.S. After the letter was sent I came up with this version of the definition: a game is (1) a pretended life (in that what people call "life" they would not do "it"); or (2) a life pretended to look like a game (in that what people call "life" they want do "it" but do not want to show that they want to do it). 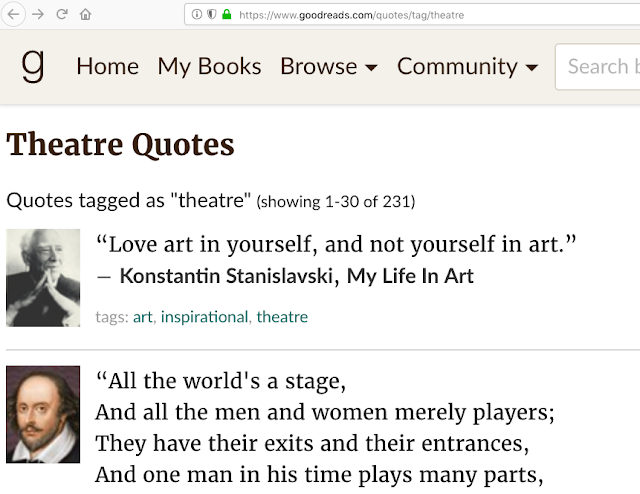 Well, I was not the first one to venture a similar sentiment: "Life is a theater". 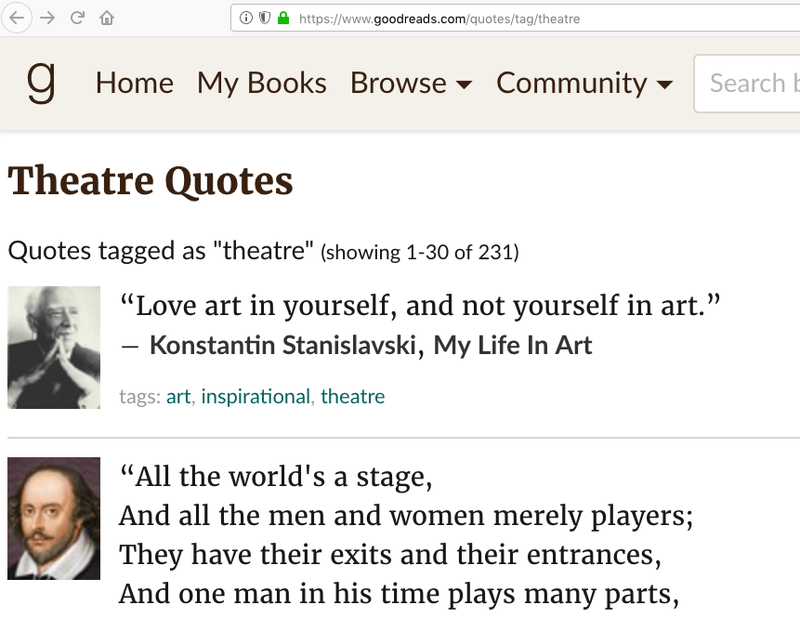 Interesting fact: one can replace word "art" in the first quote with basically anything ("teaching", "managing", researching", ...) and it still will stand! P.P.S. After I have developed my own definition of game, and its shortest version (the sentence in blue) I, naturally, looked it up online. All sources are basically say that a game is a play or a competition, or ..., and there is a list of possible activities, which is technically not a definition, but an analogy. The general structure of a problem-solving process, or PSP (i.e. the process required to solve a problem; more specifically, the process required to create a solution to a problem), does NOT depend on the problem; in particular, it does not depend on the field to which the problem belongs. and (3) after that the one will be able to transfer that problem solving skill (PSS) to ANY field. The described three stages represent the fundamental basis for teaching with establishing reliable transfer of knowledge (this approach is not presented in literature, but essentially based on the Vygotsky theory of a Zone of Proximal Development; e.g. at https://psyjournals.ru/en/kip/2016/n3/zaretskii.shtml; more at http://psyjournals.ru/en/search/?q=zaretskii;). Specific structure of PSP in physics is described in http://www.cognisity.how/2018/02/Algorithm.html. 3. When asked about the areas where AI can bring significant advances, NONE (!) of the participants named education. Clearly “big fish” in AI don’t have education on the list of their priorities (didn’t pop up in their mind), or at least as a potential funding generating field. 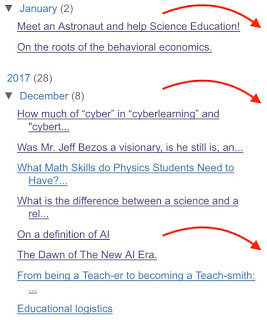 That is despite the fact that the training procedures they use to “teach” AI, such as “supervised learning” and “reinforcement learning”, are just simplest teaching approaches – way before, say, John Dewey’s Constructivism. The reason behind this fact is very simple – current AI does NOT require any complicated teaching strategy, current AI is not really smarter than a dog (can recognize a face, a voice, a command), well, very fast thinking dog. And since it will not be requiring such a strategy for at least twenty years, why even bother? This is one of the reasons that all my attempts to reach out to AI professionals failed. And this is one of the reasons for me to start an open search for collaborators interested into merging advance in AI with education. I am one of those professionals who the President of M.I.T. Prof. Rafael Reif calls "bilinguals". M.I.T. designates $1 billion to create a new college with the sole goal to study AI. In the past I called for creating an institution which would concentrate on the use of AI in education. I would hope the new M.I.T. college will have such a lab. Here is our brief communication. I am one of those bilinguals who, according to you, will be transforming the future. I am a theoretical physicist by trade, a physics instructor and a writer by my profession, and an expert on human intelligence. I would like to be a part of the laboratory “AI for education” of the new M.I.T. Stephen A. Schwarzman College of Computing. I personally would like to be involved into the research and development of AI named “a perfect physics student”, i.e. and AI which can solve any problem from any regular physics textbook. ; and AI named “a perfect physics teacher”, i.e. AI which can explain to a regular person how to solve any problem from any regular physics textbook, and guide a student through the problem-solving process better than an average physics teacher does it these days. I am a very good physics teacher (I have a solid proof of that at: http://www.gomars.xyz/vvcvres.html). I also have a very good knowledge of how AI works, or should work. I have published some pieces on the matter, including one giving an operational definition of AI: the latest piece is available at http://www.cognisity.how/2018/05/AHLI.html; the original definition is presented at http://www.cognisity.how/2017/12/AIdef.html. Editor, Journal of Experimental & Theoretical Artificial Intelligence”. I think, “too controversial” may be exactly what the new College may embrace. Of course, the strategy which will be used for AI in physics education can be used for math education, and for other science subjects. I also have an experience in educational consulting and teacher professional development and have a clear vision for specific projects merging advances in AI with advancing the practice of education in general. I am confident with all the stages of the development of AI applications besides coding, but coding is the least important part of the whole process (in fact, any good physicists can become a good coder, but the reversed statement is wrong: http://www.cognisity.how/2017/12/cyber.html). I hope to hear from a relevant person with whom I could discuss the details of my prospective/possible professional involvement with the College. Thank you for your note and your interest in the Schwarzman College. We are in the very early days of the College, with a search for a new dean just getting started. The dean, of course, will be critical in shaping the College's educational programs and opportunities. I encourage you to reach out to the dean once he or she is named. First, I want to thank you for your response, I did not expect it, and I appreciate it. I also want to thank your assistant who screened your mail/email, and note that you clearly have a good understanding of people because you hired as your assistant a person who sees the difference between empty letters and a letter which may be of your interest. I appreciate your input and your advice, I will follow it when the dean will be named. But I hope that when that happens, you may mention to the dean this brief communication. I would like to use this, maybe final, opportunity to communicate with you to add to my first letter only one new point. Recent DARPA pre-solicitation # DARPA-PA-18-02-02, titled “the Artificial Intelligence Research Associate (AIRA) program” “invites submissions of innovative basic research proposals to address two main objectives: 1) explore and develop novel new AI algorithms and approaches for discovery of scientific laws and governing equations for complex physical phenomena”. I would like to point at the fact that the reasoning process one uses when constructing a solution to a physics problem one has no experience of solving in the past has close similarities to the reasoning process one uses “for discovery of scientific laws and governing equations for complex physical phenomena”. Creating AI which can solve physics problems is a natural step toward creating AI Research Associate. Since I am not in the field of AI, I have no chance to get any funding from DARPA. Boston University researches do not have a solid representation in the field of AI. That is why I started searching for a group of established researches who would be interested in my projects “AI as perfect physics student”, and “AI as perfect physics teacher” (described in my first letter). Naturally, M.I.T. was my first choice. "I hated physics before taking this course, and now after taking both 105 and 106 with Mr. V, I actually really enjoy it. He is one of the best teachers I've ever had. Thank you". Who Will Train our Artificial Puppies? Is Artificial Intelligence Already Actual Intelligence?